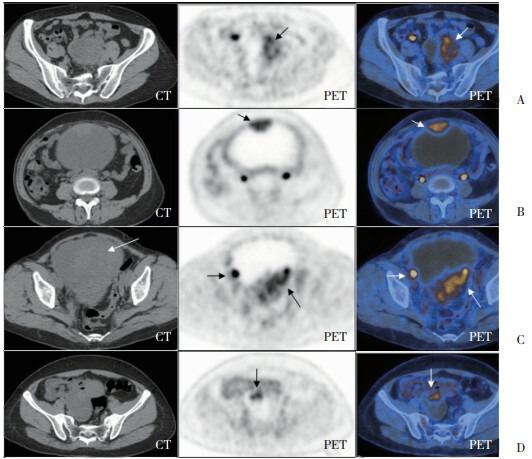 PET/CT Manifestations of Ovarian Clear Cell Carcinoma[J]. Journal of China Medical University, 2018, 47(8): 763-765. 刘国艳, 袁碧波, 糜若然. 卵巢透明细胞癌诊治进展[J]. 国际妇产科学杂志, 2012, 39(4): 364-367, 372. 张君, 王言奎. 血清CA125在卵巢癌诊断及预测分期中的应用价值[J]. 齐鲁医学杂志, 2012, 27(6): 479-481, 484. 张家云, 江魁明. 卵巢透明细胞癌的CT表现[J]. 中国医学影像技术, 2010, 26(10): 1943-1945. 热娜, 季菲, 艾星子, 等. 卵巢子宫内膜异位症与卵巢恶性肿瘤的相关性分析[J]. 中国妇产科临床杂志, 2011, 12(5): 331-334.